In this innovative series of public lectures at Newcastle University, leading contemporary poets speak about the craft and practice of poetry to audiences drawn from both the city and the university. The lectures are then published in book form by Bloodaxe, giving readers everywhere the opportunity to learn what the poets themselves think about their own subject. Anne Stevenson argues that change is time's one permanent condition, that it continually transforms the present into the past at the very moment it opens the future to further change. She believes that without an understanding of how poetry has re-invented itself through its history, today's present innovations are likely to remain rootless and unnourished. Drawing on lines from her own poem, 'The Fiction Makers' – 'They thought they were living now/ But they were living then' – Stevenson traces the theories, fashions and beliefs of modern poets in America and Britain since the 1930s (the span, in fact, of her own lifetime). Giving special attention to the voices of T.S. 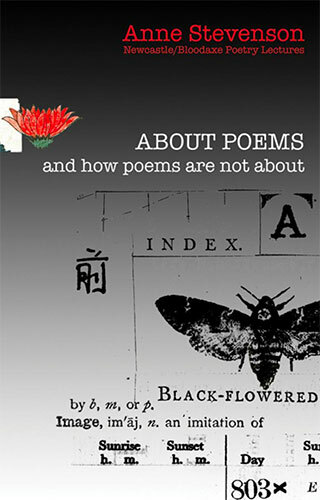 Eliot, Ezra Pound, Robert Frost, Elizabeth Bishop and Wallace Stevens, she shows how, after World War II, populist movements in the United States rose up against a university-based establishment, introducing a barbarian energy into the art while at the same time destroying its solid base in traditional rhythm and form. Each lecture features poets she considers to be among the most effective of their kind, ranging from W.B. Yeats, Robert Lowell and Richard Wilbur, to Frank O'Hara, John Ashbery and Denise Levertov. In her thirdl lecture, she quotes extensively from friends and contemporaries recently deceased: G.F. Dutton, Frances Horovitz, William Martin, and finishing with a tribute to the voice and ear of Seamus Heaney. To the three texts of her 2016 Newcastle/Bloodaxe Lectures Stevenson has conjoined additional essays originally given as talks in the Chapel of St Chad's College in the University of Durham. These have mainly to do with rhythms and sounds rather than with subject-matter, arguing that, until very recently, it was a defining virtue of poetry not to be about anything that could better or more clearly be said in prose. Finally Stevenson, having had a number of second thoughts about Bitter Fame, her biography of Sylvia Plath (1989), includes a talk on this American poet's astonishing gift and tragic life, first given at Ledbury Poetry Festival in 2013.